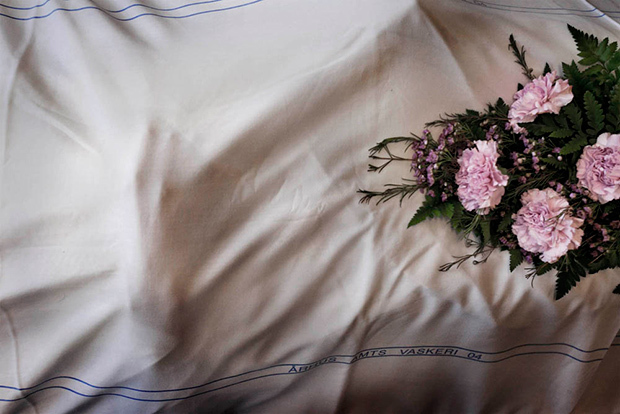 For About Dying, Denmark-based photographer Cathrine Ertmann chronicles the enigmatical journey of the deceased from death until burial. 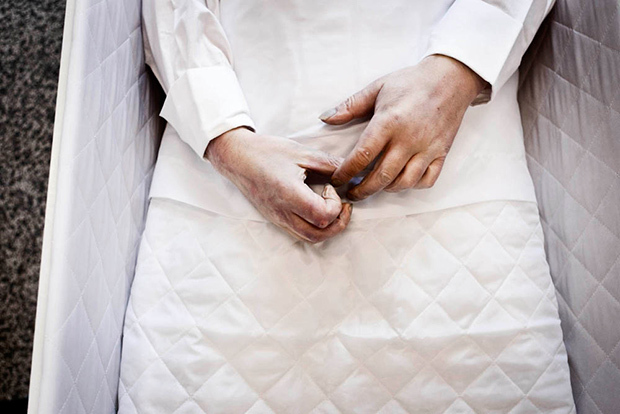 While keeping her subjects’ identities anonymous, she records the stages of death, including autopsies and cremations, in quiet detail. Lifting the veil of secrecy that so often surrounds these processes, she reveals moments that are both graphic and serene. 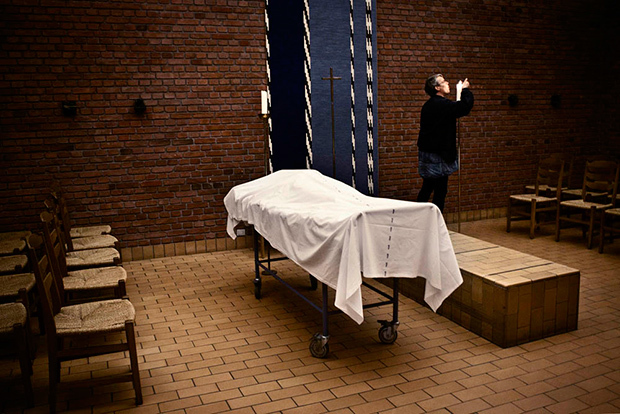 With the permission of the Pathological Institute of Aarhus University Hospital, Ertmann gained access to the morgue, the autopsy table, the crematorium, and the chapel wherein ceremonies are held. She sees similarities between our passage from the womb, and the interim between death and the final goodbye, a transition marked by unknowns. 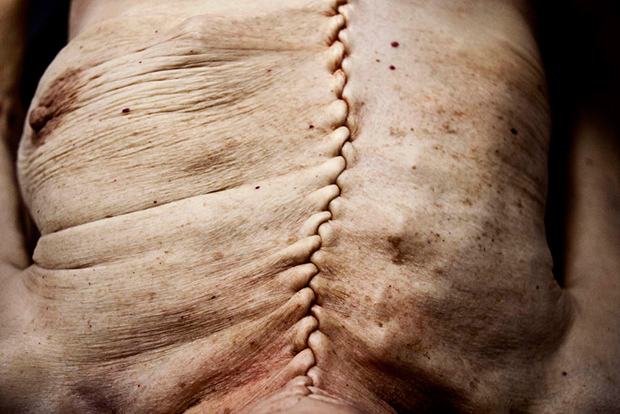 In the accompanying captions, she bears witness to the stages of bodily decomposition and recounts a series of facts that, in their objective simplicity, provide small moments of relief from the anxiety that pervades our modern perception of death. This fear of death, she explains, pervades facets of daily life, including our cultural obsession with youth and beauty. 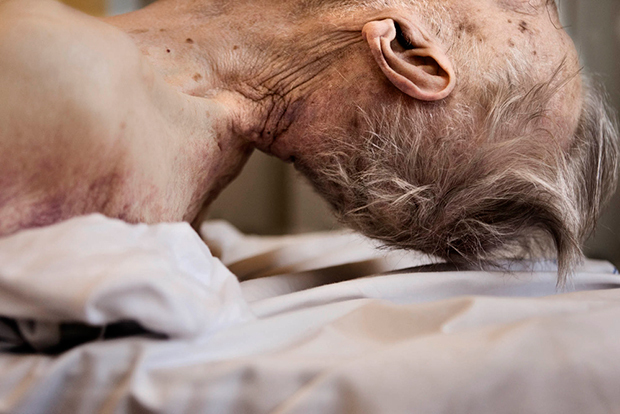 For Ertmann, a confrontation—and ultimately, a reconciliation— with death enables us to recognize the value of life. 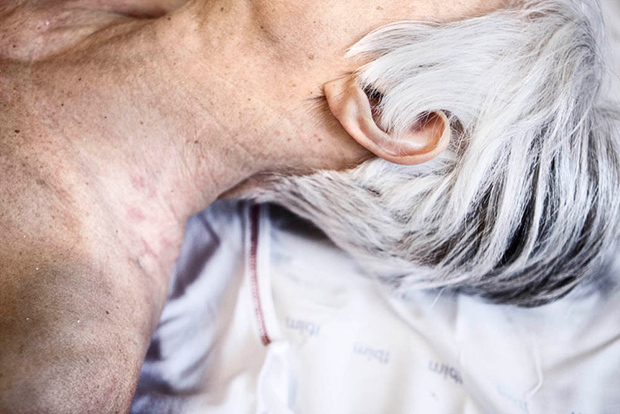 Under her lens, the human self is condensed into fragments; a hand, a skull, and a swath of white hair, all of which become solemn yet tender sites of a modern-day memento mori. Here, the archetypal and invisible character of death is made conspicuous, presenting himself in a manner that is at once hushed and resounding. The only complete certainty in life is that one day we will die. It is the most certain thing in the world, and the biggest uncertainty we experience of the world, because nobody can say what will happen afterwards. Maybe that is why we find it so difficult to speak about death. And maybe that’s why it is hidden away, under linens, in inaccessible dedicated rooms, in cold corridors beneath hospitals. What would happen if we saw with our own eyes? If we got a picture of what we already know? The body is perishable, it can be torn apart, it becomes stiff and cold, it rots, and in the end it is only the shell we inhabit while we are alive. His breast isn’t moving. The cells in his body have carried out the last of their work, the mechanisms have come to a halt and he is not going to get any older. In the 6-hour-room lies a man under a blanket. Before six hours have passed from the moment of his death a doctor will examine him, looking for the signs of clinical death. Irreversible interruption of the breath and the heartworks, and death marks and stiffness. 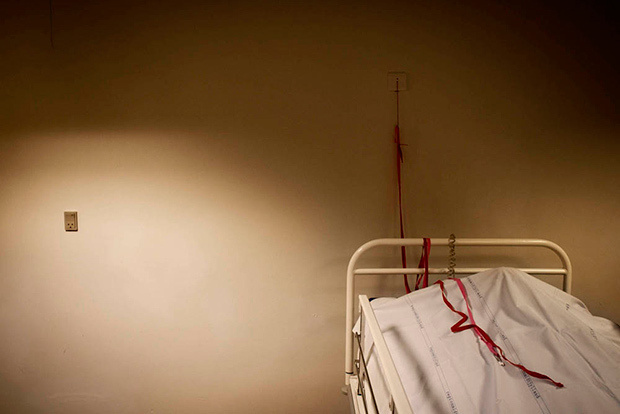 The red cord has never been used in the chapel in Aarhus, but it’s there anyway, so that the person under the cloth can call for help, should they awake. Here, women and men, girls and boys lay on ice, because they were careless, because they were unlucky, or because their time had come. This woman was found dead in her home. She has just been through an autopsy, which confirmed that she didn’t die the victim of a crime. Soon her body will be dressed and laid in the coffin. Muscular stiffening begins between four and twelve hours after death. It starts in the neck and makes movement of the limbs impossible. 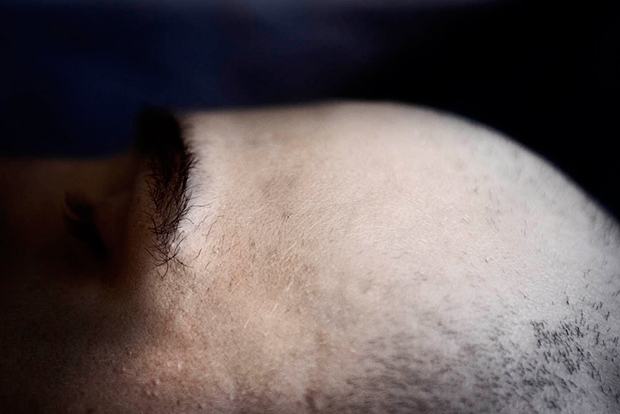 When it reaches the scalp, it can make the dead body’s hair rise. Like goose bumps on the living. 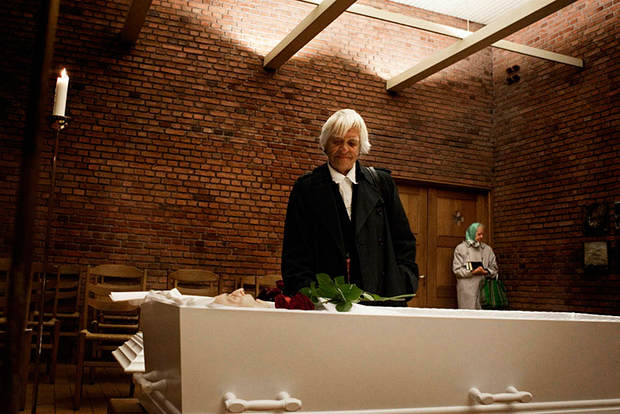 In the chapel of the Pathological Institute of Aarhus University Hospital, the dead are received. Here they are dressed in clothes, their hair is combed and they are laid in the coffin, before we can say our last goodbye to those we have lost. 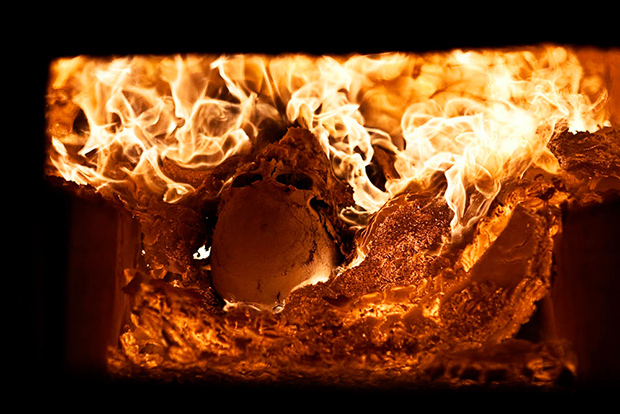 In the crematory, the coffins are burned. Flowers are removed, but drawings, cards and pictures are included in the big oven and are burned at 850 degrees fahrenheit. It takes about an hour and a half to transform into ashes. If there are bone fragments, they are crushed, and the ashes put in a urn. Afterwards, the urn is laid in the ground, or maybe the ashes are scattered over the sea. 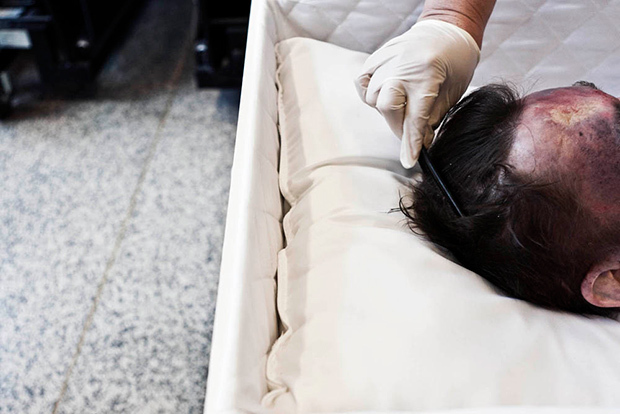 A mother is viewed by her family before being laid in the coffin. It takes place in the little chapel reserved for the festivities. Here, all religions are right. The cross on the wall can be removed and Satanists, Christians, Muslims and Hindus alike, each one with their own rituals, say their last goodbyes to the deceased. On the wall hangs a banner. In Latin it reads: ”Here the dead help the living.” It reminds the porters of the importance of their work, when a body is dissected and the doctors determine how an illness has killed a person. 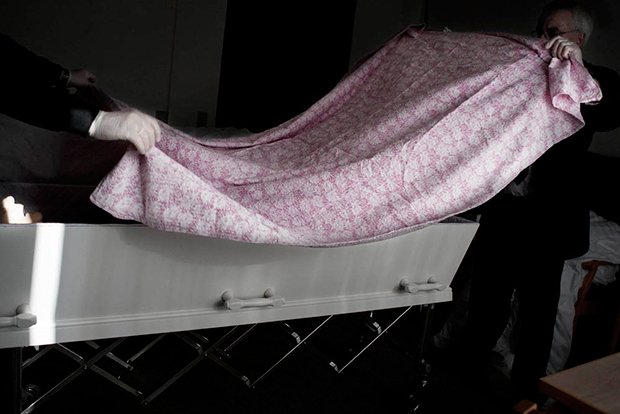 The autopsy is agreed upon with the deceased’s next of kin, unless the deceased themselves gave permission while alive. There are blue and reddish blemishes on the body. These are death’s bruises, telltale signs that the cells have stopped their work and the blood has rushed to the lowest spots in the body. 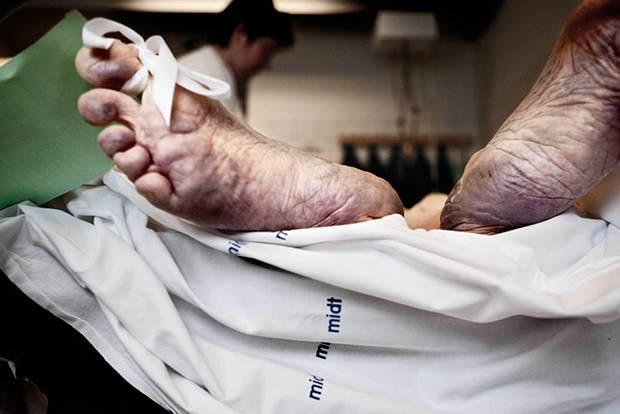 A label around the toes reports the essential information about the deceased. If the label is orange, they’ve been taken in by Falck. If it’s green, they come from one of the hospital’s departments. It tells when death occurred, if an autopsy needs to be conducted, and the name and social security number. During an autopsy the body is opened from the pubic bone up to the throat. All the organs in the breast and the abdominal cavity are removed and examined after the cut is made. 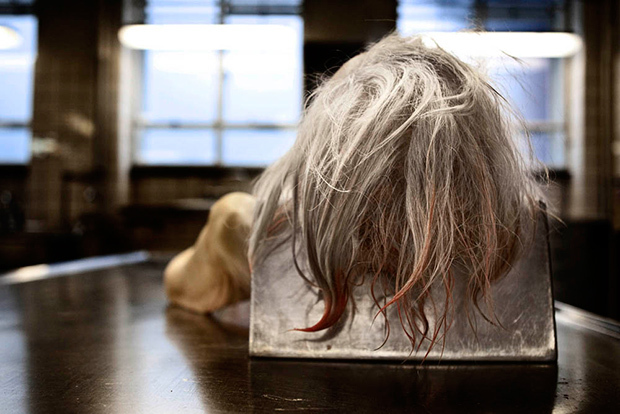 The brain is removed from the skull and examined. 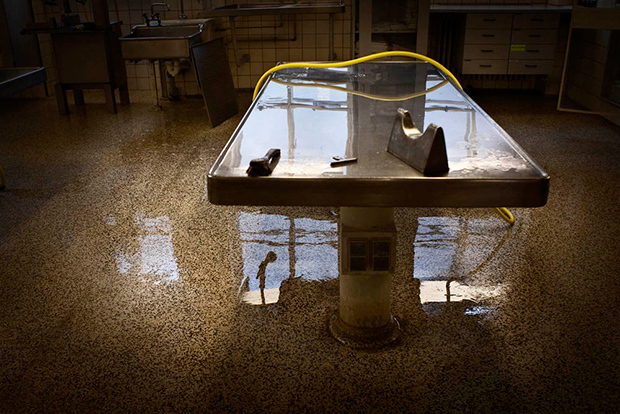 When the autopsy is done, the table and the floor are hosed clean with water and soap. A man has his hair combed. He lies in a coffin and is dressed in a shirt and blazer. He won’t be viewed by his relatives, he just has to look good until the lid of the coffin is screwed tight with the small screws. In the chapel, family members and a friend say goodbye to the man in the coffin. “It’s only hard when those who are too young to have died come in. Those who should have experienced much more. Those who leave behind small children. Otherwise it i really just as natural as being born, and that we don’t hide away”, says Michael Petersen, who directs the work in the chapel.